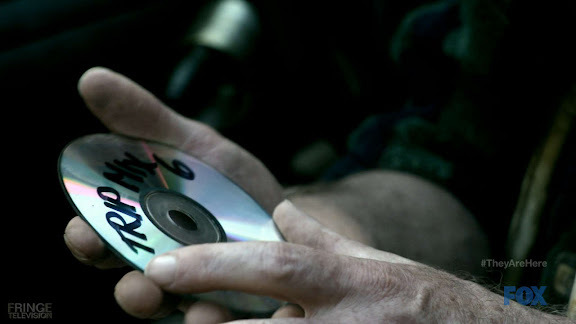 At the end of the Fringe episode "Transilience Thought Unifier Model-11", Walter finds and plays a CD to help himself "shift perspective, to see things differently." The song that is played is "Only You" by the '80s band Yaz (née Yazoo). What was the classical piece Walter was trying to use as a screen, at the beginning of the interrogation? "The song that is played is "Only You" by the '80s band Yaz (née Yazoo)." However they were not originally or formally called Yazoo. It was only in the US that they were known as Yaz. Everywhere else in the world they were always called Yazoo. The reason for the change in the US is because at the time there was already a US based band called Yazoo who threatened them with a lawsuit over the name. Not that anyone, anywhere would even remember who that "other" Yazoo were are at this point. It's called "Song for the unification of Europe" from the french film "three colours: Blue"
For me, that scene in "zoom out", appearing Walter, leaning back in a chair in a yellow taxi, semi wrecked, abandoned, in a street full of rubble with no one else, just him, is very significant and depicts the moment of hopelessness and dismay that everyone is experiencing that year, 2036. All that "loneliness" environment, along with the sound echoing off the taxi, if filtering, losing by endless rubble, abandoned that street, portray a new Fringe, where it will either have to be constructed, humanized, to achieve a minimum of hope, I see.